Minimum commitment for training is 90-days. We do not train by individual hour, week or month. For comparison purposes only, the single hour rate is $60. Be sure to check out our SPECIALS! Two 90-day "no down payment" contracts with 90-day renewal options are available. One has a single payment, the other has 3-payments during the 90-day term. As all payments are the same during the 90-day term, they differ from the "down payment" plans described below. They include all standard complimentary services. Four "down payment" programs are offered. They feature a down payment followed by several same dollar amount monthly payments. Of the standard plans, these four are the most economical training plans, and offer the deluxe complimentary services. Two new economy plans offer great training on a budget. The single payment option is more economical than the three payment plan. I urge you to compare and consider these two power packed options. Our Program Particulars are full disclosure. For comparison purposes, please remember our training is always one on one in our private workout room. You and your trainer are the only two in the room. 2.) Four 60 min. 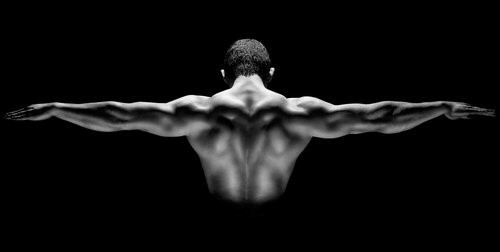 sports massages (per 4-month term) (regularly $120 to non-trainees). 2,) Six 60 min. sports massages (per 6-month term) (regularly $120 to non-trainees). 2,) Twelve 60 min. sports massages (regularly $120 to non-trainees). It's perfect for teens, young adults and middle agers, who want to get and stay strong. If you are the parent of a teen, ask about my student scholarship. I give one every 90 days. It is a super program for older folks and any-age-duffers (those who don't move well, includes those who sit too much) who want to un-scuffle their shuffle, and start moving, and stay moving with ease and a newfound sense of freedom. * Many other fears and phobias that embarrass you. If any of these situations fit, here is your chance to BREAK OUT, take a deep breath, and GET MOVING! ​You'll have so much fun, you'll hardly know you're stepping out of your old comfort zone. You bring your own shower towel, and sweat towel. Cold bottled water is provided. 90 Day Three Payment Plan: $37/session (1-hr each), ($1332 for 36, or $444/mo.) and renew for the same price. 6-Month Trainer's Special: $35/session and each renewal. 72 sessions for $2520, payable $1500 down w/3-monthly payments of $340 due the first day of training in months four, five and six. (13 weeks for the price of 12 weeks). Be sure to refresh your browser, as specials change monthly. • Program prices are based on 3-sessions/week. • After 1-year of training, all standard plan programs renew at $45/session, and may be paid monthly. • Prices & programs are effective February, 2015 and may change w/o notice. • All sessions are payable on a prepaid basis. • Unused prepaid sessions are not refundable, but may be used anytime training is resumed. • Trainer's and Health Club Specials provide benefits to the seriously committed - not intended for the casual trainee. • Down payments are used up within 25 to 59-sessions (down payment period), however, monthly payments start before the conclusion of this period. • Contract cancellation by the trainee during the down payment period will incur a financial penalty. • A refund (if any) is calculated by rebilling the used sessions at the single session price of $60, and subtracting this amount from total monies paid. • Four, five and six day schedules are available for intermediate and advanced trainees. • Extra sessions past 3/week, are billed at the same rate as the trainee's program. • Other hour and day schedules are available when scheduling permits. • Before or after hour sessions may be an additional cost. • Training is always one-on-one in our private, quiet, air conditioned work out room. • A private shower is available. • Shower towels, work-out towels, cold bottled water. • Post workout protein drink (made fresh for you, includes fruit). • Complimentary items have no cash, exchange, refund or reduction value. • All standard complimentary services. • Laundry service for gym clothes. • One complimentary sports massage for every month of contract. • Sports Massage is available to 36, 48, 72, 96, 108 and 144 session trainees at $70 for 60 minute and $95 for 90 minute sessions. • Complimentary massage is provided in-house by your trainer/LMT, or LMT apprentice.